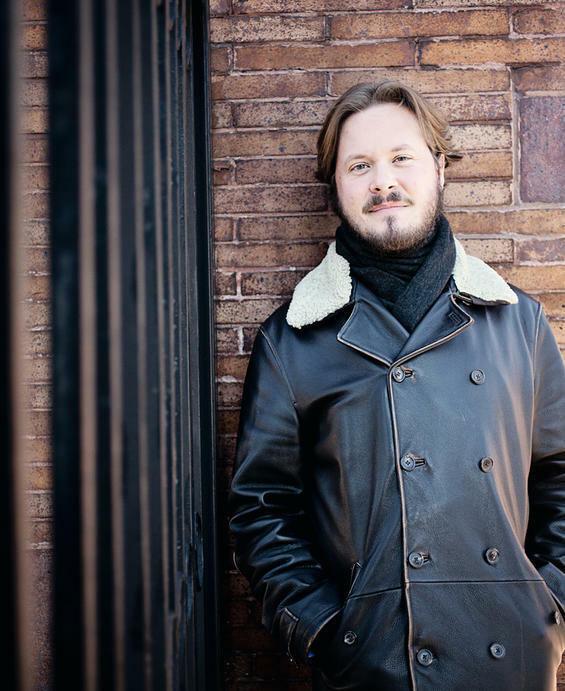 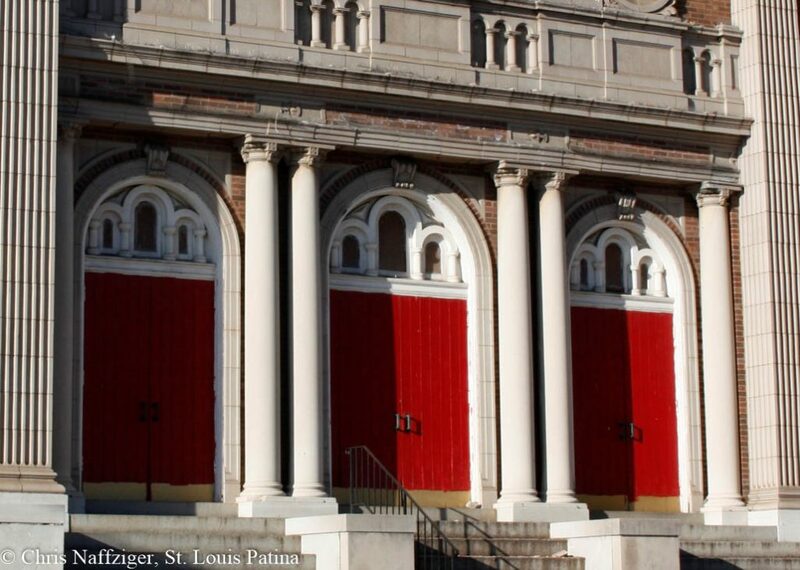 Update: See my series on the College Hill neighborhood around the church. 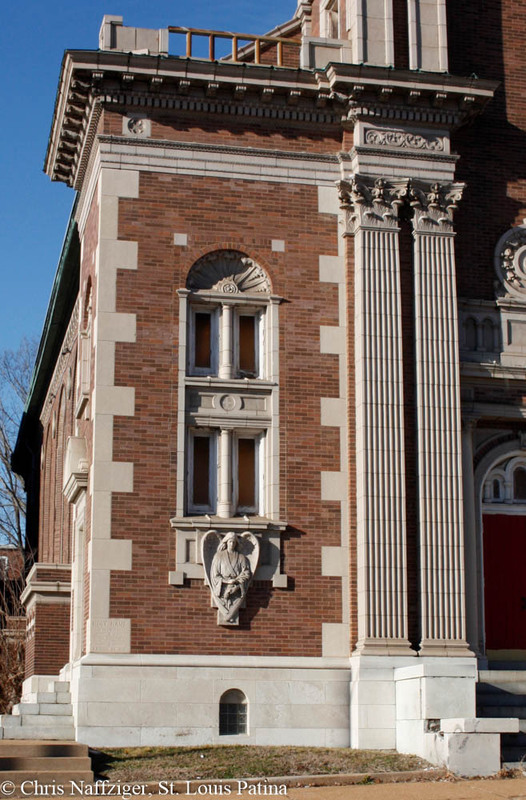 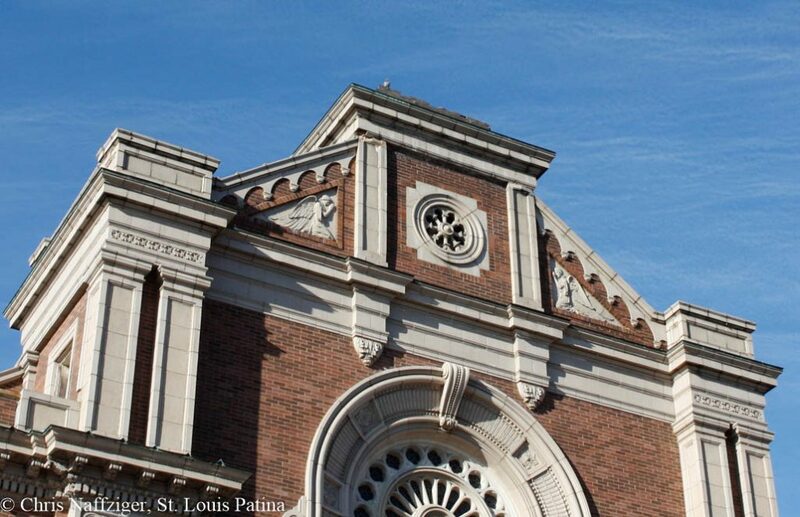 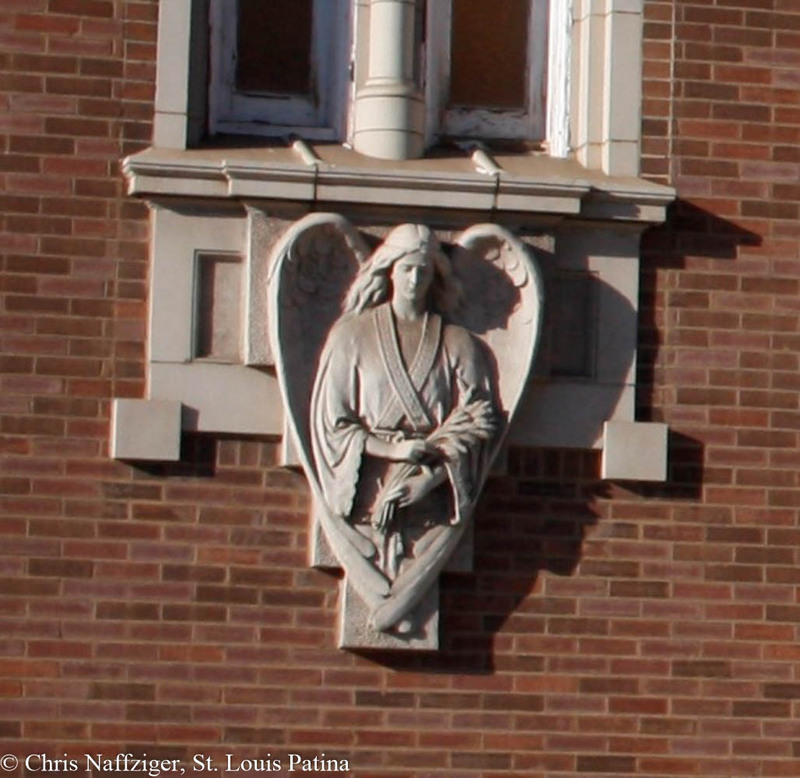 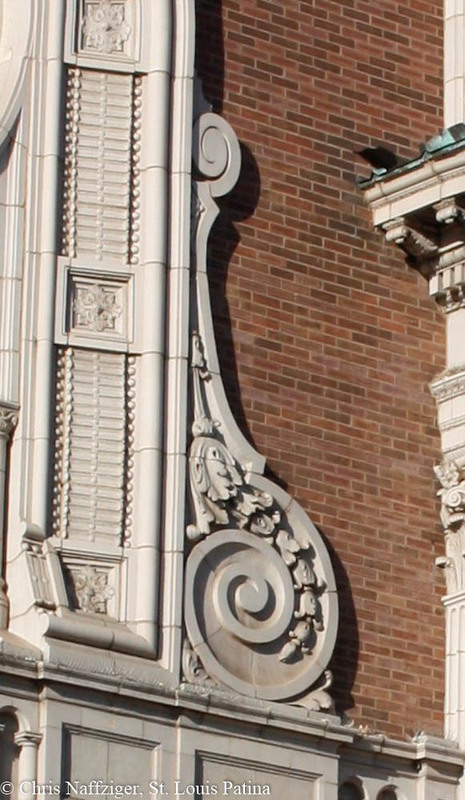 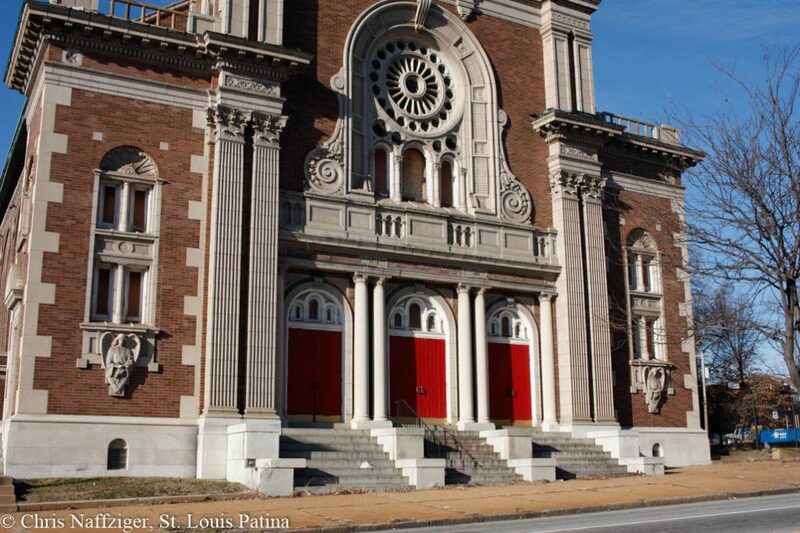 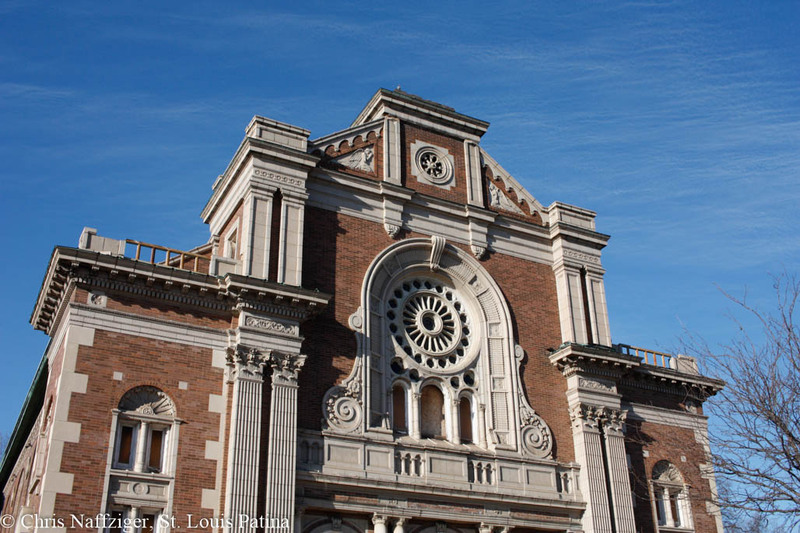 For my weekly column at St. Louis Magazine, I wrote about the rich architectural history of the former Most Holy Name of Jesus Roman Catholic Church in the College Hill neighborhood of North St. Louis. 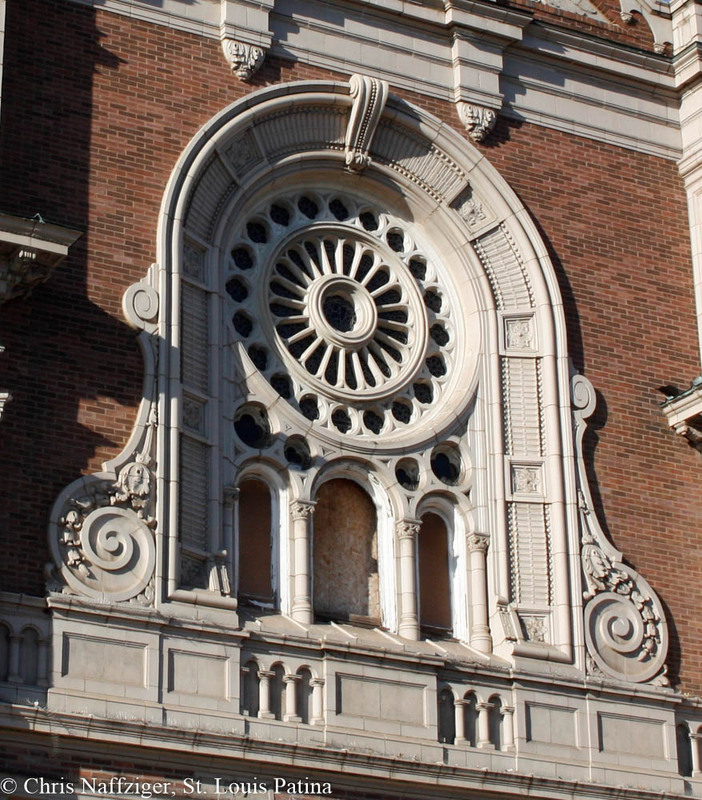 Here are some additional details of the stunning facade of the church. 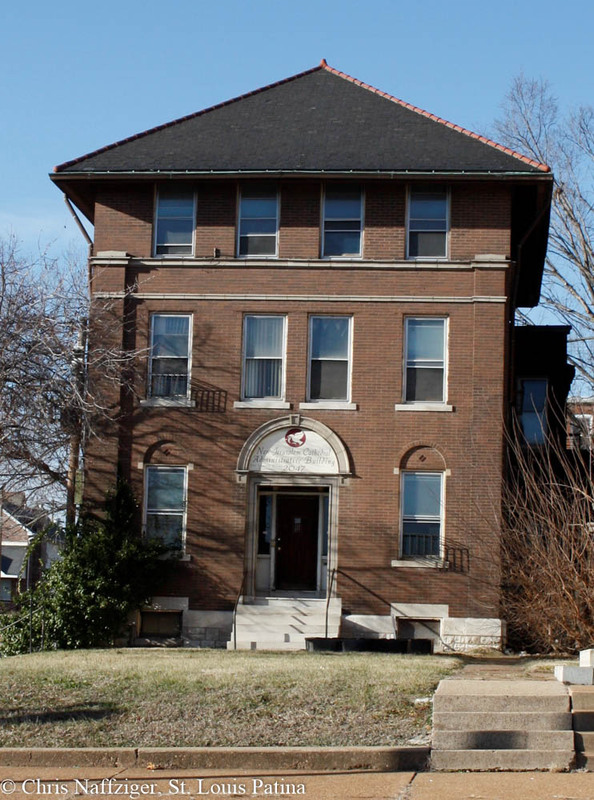 Here is the rectory, which is an interesting composition to go along with the more ornate church.